No matter how much you try and resist the temptation, it’s almost impossible to stay away from delicious, sinful fast food. With so many options out there, it may be difficult to pick a favorite restaurant. But there’s always the one we keep returning to whenever we can! If you’re a Burger King fan, you love onion rings so much that you’d rather have them over a wedding ring. If you find yourself at Dunkin’ Donuts a lot, you’re more fond of quantity than quality; you’d swim in a pool of coffee from that place if you could. If you’re a lover of McDonald’s, you’d give up your friends over their signature fries. 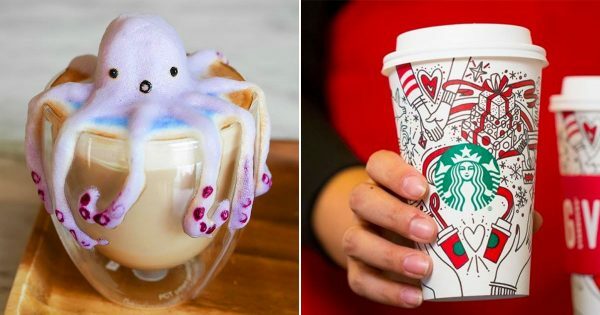 And if you’re a Starbucks lover, you live for Instagram and make sure to try any trend that comes up. In this quiz, we can tell you which fast food item matches your personality accurately. All you have to do is answer these food-related questions honestly for us to give you your result! Which would you consider the world's food capital? Pick a surprising fast food lover! Which fast food-themed cake would you want for your birthday? Which international McDonald's item would you like to try? Which casual restaurant serves the best food? Which homemade version of a fast food item looks as good as the original? What is your go-to snack at the cinema? Which fast food item seems like a bad idea? Which fast food restaurant serves the best fries? Which condiment goes the best with fries? Which discontinued fast food item do you wish you could try? Which fast food-inspired item would you wear? Which of these food shows do you enjoy watching the most? Which fast food item would you eat to feel "healthy"? Finally, which is your must-have topping on a burger? Can You Name These Rihanna Hit Songs?